Shares of Ilika plc with ticker code: LON:IKA has stepped up 17.68% or 3.59 points throughout today’s trading session so far. Buyers have remained optimistic throughout the session. The periods high has reached 24.89 dropping as low as 20.4. The number of shares traded by this point in time totalled 281,052 whilst the daily average number of shares exchanged is just 123,307. The 52 week high for the share price is 31.7 some 11.4 points in difference on the previous days close and a 52 week low being 11.25 which is a variance of 9.05 points. Ilika plc has a 20 day moving average of 16.96 and also a 50 day moving average at 16.76. This puts the market cap at £24.06m at the time of this report. The share price is in GBX. Mcap is measured in GBP. This article was written with the last trade for Ilika plc being recorded at Wednesday, January 23, 2019 at 11:56:29 AM GMT with the stock price trading at 23.89 GBX. Stock in Burberry Group plc ticker lookup code: LON:BRBY has risen 1.24% or 22 points throughout the session so far. Traders have so far held a positive outlook throughout the session. The periods high has reached 1818 dropping as low as 1723.5. Volume total for shares traded during this period was 738,373 with the average number of shares traded daily being 1,501,583. A 52 week high for the stock is 2338 which is 562 points difference from the previous days close and putting the 52 week low at 1481.5 a difference of some 294.5 points. Burberry Group plc has a 20 SMA of 1761.11 and a 50 day SMA of 1783.21. The market capitalisation currently stands at £7,396.70m at the time of this report. The currency for this stock is GBX. Market cap is measured in GBP. This article was written with the last trade for Burberry Group plc being recorded at Wednesday, January 23, 2019 at 12:02:10 PM GMT with the stock price trading at 1798 GBX. 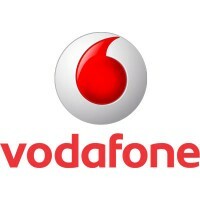 Shares of Hardide Plc ticker code: LON:HDD has increased 7% or 0.1 points during today’s session so far. Traders have so far held a positive outlook during the trading session. The high for the period has peaked at 1.5 while the low for the session was 1.5. The total volume of shares traded by this point was 283,143 with the daily average number around 192,596. A 52 week share price high is 2.3 some 0.9 points difference from the previous days close and the 52 week low at 1.25 which is a difference of 0.15 points. Hardide Plc has a 20 SMA of 1.36 and now its 50 day MA at 1.38. This puts the market cap at £25.44m at the time of this report. The share price is in Great British pence. Mcap is measured in GBP. This article was written with the last trade for Hardide Plc being recorded at Wednesday, January 23, 2019 at 10:18:39 AM GMT with the stock price trading at 1.5 GBX. The share price for International Consolidated Airlns Grp SA with ticker code: LON:IAG has stepped up 1.94% or 12 points throughout today’s trading session so far. Market buyers are a positive bunch during the trading session. The high for the period has reached 635 and hitting a low of 616.4. The number of shares traded by this point in time totalled 1,461,234 while the daily average number of shares exchanged is 5,719,607. The 52 week high is 727 equating to 107.8 points difference from the previous days close and putting the 52 week low at 547 which is a difference of 72.2 points. International Consolidated Airlns Grp SA now has a 20 SMA at 614.72 and a 50 day MA at 625.66. The market capitalisation is now £12,518.66m at the time of this report. The share price is in Great British pence. Mcap is measured in GBP. This article was written with the last trade for International Consolidated Airlns Grp SA being recorded at Wednesday, January 23, 2019 at 12:02:44 PM GMT with the stock price trading at 631.2 GBX. 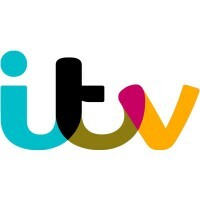 The trading price for ITV plc with EPIC code: LON:ITV has moved up 1.77% or 2.35 points in today’s trading session so far. Buyers have remained optimistic during the trading session. The period high has peaked at 134.9 and hitting a low of 132. The volume total for shares traded up to this point was 3,369,718 with the daily average number around 14,966,625. The 52 week high price for the shares is 183.1 some 50.55 points in difference to the previous days close of business and a 52 week low sitting at 121.5 is a variance of 11.05 points. ITV plc now has a 20 SMA of 133.04 and now a 50 day moving average now of 138.72. The current market capitalisation is £5,430.28m at the time of this report. The currency for this stock is Great British pence.Market cap is measured in GBP. This article was written with the last trade for ITV plc being recorded at Wednesday, January 23, 2019 at 12:02:12 PM GMT with the stock price trading at 134.9 GBX. Click BRBY HDD IAG IKA ITV for the full archive.